Click on the image above to learn how. 401k and 403b Plans Have A Problem! A recent Dalbar Study, “A quantitative Analysis of Investor Behavior ( QAIB ) published in 2014 is the 20th annual addition of a report that examines the returns that investors realize in comparison to the returns mutual funds report. Their studies show that over both the long and short term, fund holders earn less – in many cases – much less than the mutual fund performance reports suggest. Because fund participants purchased when the funds were reporting good performance, but sold when their holdings declined in value. Even when Peter Lynch managed the great Magellan Fund, average shareholder performance was poor in comparison to fund performance. This is entirely attributable to investor behavior. If you are a plan sponsor or plan participant, what action can you take to rectify this issue? I believe it is investor education. The typical education offered to plan participants is to discuss asset allocation and age based recommendations. This type of teaching does nothing to solve the main issues that relate to investor behavior. This has been proven, because the problem has not been fixed after 20 years of reported results. The Pension Protection act, which both strengthens employers’ existing pension obligations and discourages them from undertaking new obligations, also makes a point to US workers: The overall message of the bill is, you’re on your own. A key provision of the law is that it enables employers, through their 401k providers or third parties to offer investment advice to plan participants without substantial fear of being sued by employees displeased with the investment results they get. Recent studies have shown that employees using an investment advisor have earned about 3% more per year than the average employee making these decisions by themselves. Three percent over a long period of time is an extraordinary difference. Over 24 years this difference doubles the principle amount. Forbes Magazine has had a few articles discussing the advantage working with an advisor has made. Most of the difference has been achieved by helping the employee hold through declining markets and by rebalancing funds held on a quarterly basis. Also employees working with an advisor tend to increase the risk they take. There are different kinds of advisors. Many are salespeople who spend little time in the actual management of funds, but are focused on annuity sales and asset allocation. For your retirement, the engine that drives your financial plan is the actual money management. To me this means you need someone to pay daily attention to the underlying investments in your plan, especially if you increase the risk you take. My experience has been that for you to get the best results and be comfortable with your personal investments, you need to understand the strategies that are employed to meet your personal objectives. Many people hire an advisor and expect low risk and big rewards without any personal effort. This type of relationship is likely to fail. Cycles are literally everywhere. They are found in nature, in business and in ourselves. The regular ebb and flow of the tides, the phases of the moon and the succession of the seasons are all examples of cyclical activity. The concept “ cycle “ refers to a measured or rhythmic pattern of activity, a process which moves from start to finish and then begins all over again, Up, down, up, down. In, out, in, out. Breathing. Heartbeats. What does this have to do with investments? A great deal. 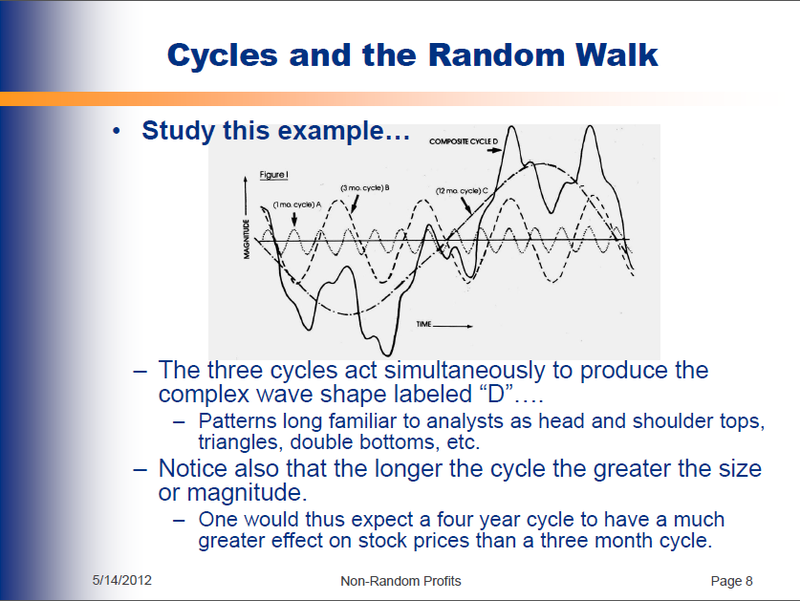 Because stock prices move in cycles too. 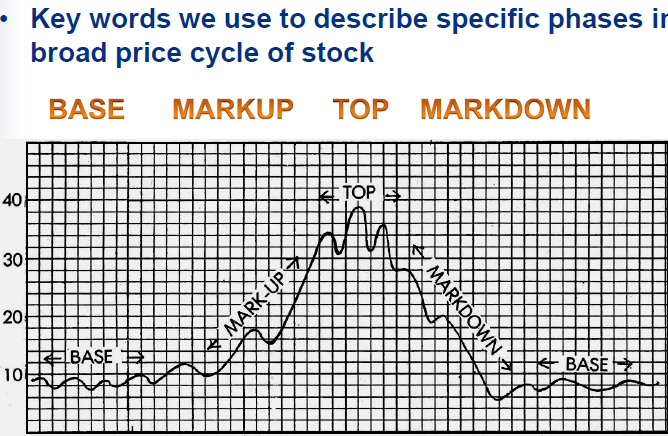 In the broadest sense, the rise and fall of stock prices can mirror the life phases or life cycle of an entire economy. 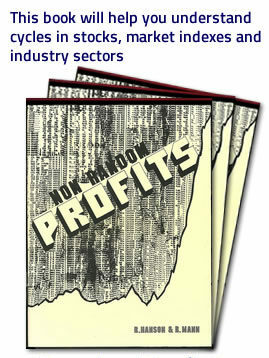 More specifically, the price of a single stock can mirror the life cycle of the corporation it represents. There are a number of highly sophisticated mathematical techniques that can be used to study cycles. 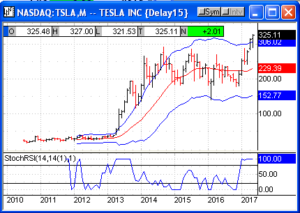 By applying these techniques to stock prices we can find evidence of many cycles operating simultaneously. They range in length from as short as a few days to as long as fifty years. All of these cycles interact with one another and combine with historical events to produce the apparently random and choppy price motion we see illustrated every day in the Wall Street journal. Figure 1 shows three cycles of different length acting simultaneously to produce the complex wave shape labeled ‘D”. from this brief example it is easy to see how the interaction of various cycles could produce many of the price patterns long familiar to stock analysts as head and shoulder tops, triangles, double bottoms, etc. Notice also the longer the cycle the greater its size or magnitude. One would expect a four year cycle, for example, to have a much greater effect on stock prices than a three month cycle. This base corresponds to the quiet period we spoke of in our heartbeat analogy. It can be looked upon as a foundation or platform to support a future rise. Generally speaking, THE LONGER THE BASE THE GREATER THE PRICE RISE IT CAN SUPPORT. How Can This Help You Manage Your Money Better! If you look at a chart of the Dow Jones Industrial Average, for nearly a century there has been a major buying opportunity roughly every four years. The other major indices would also correlate with these low points. Thus you should be taking more risk at these low points and less risk at high points. It is a simple task. Look at the last major low and calculate four years. If the low point occurs more quickly, you can buy at an earlier date. Up trends last about three years. Major downtrends can last about one and a half years. If prices have been rising without a major correction for three years or so and the next low point is scheduled for late 2015 or early 2016, you should not be taking high risk, but should be conserving cash for the next big opportunity. Markets tend to increase at a faster rate right before the uptrend matures. If you are taking market risk, you should be monitoring daily with a plan for risk control. Investors who practiced this wisdom would not have had large losses in 2001, 2006, 2009. This would have made a big difference in the overall rate of return for retirement accounts. Understanding this principle may protect you from the market damage that will likely have taken place by 2015-2016. Investors who make decisions based on past performance looking at the best performing funds over 3mo, 1 year and three year history are by definition buying into the top of the market cycle. Even if you are an experienced investor and are set in your ways, our children and grandchildren need to learn these important principles so they can develop the faith and strength that it takes to create wealth through saving and investing. Robert K. Mann is a cycles expert with over 40 years of experience. 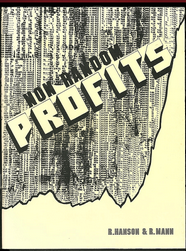 He is the coauthor of Non Random Profits, a key study of stock and stock market cycles published in 1978. The principles taught in this work have worked for over seventy years. Mr. Mann through his investment advisory company, Advisor’s Capital Investments, Inc. offers coaching to all types of plan participants and retirees. For plan participants of all types whose plans use Fidelity Investments, Inc., his company is approved to make transactions in the plans through Fidelity when authorized by the participant. In addition, for those do it yourself investors who just need a coach, low cost subscription services will be available through our publisher at a very low annual price. Founding subscribers will get one year free.